JUBA, Nov 28 2012 (IPS) - As South Sudan continues negotiations with Sudan regarding the resumption of oil production and transit, the South Sudanese government says that it is developing its own industry and will start producing fuel for domestic consumption within the next eight months in order to avoid continued reliance on its neighbour. South Sudan’s Petroleum and Mining Minister Stephen Dhieu Dau told IPS that as oil was due to start flowing again, one of the government’s priorities was to establish the nation’s infrastructure in order to process the commodity itself. “Our aim is to ensure that some of the oil can be processed in the country to meet domestic needs and end the frequent shortages of diesel and petrol in our country,” Dau said. South Sudan shut down its production of oil in January after a dispute with neighbouring Sudan over oil transit fees. Both countries agreed to resume oil production and trade on Sep. 27 after former South African President Thabo Mbeki led the African Union’s mediation efforts in attempting to defuse a range of disagreements that spiked in January, which almost led to full-blown war in April. Oil sales contributed 98 percent of South Sudan’s revenue. 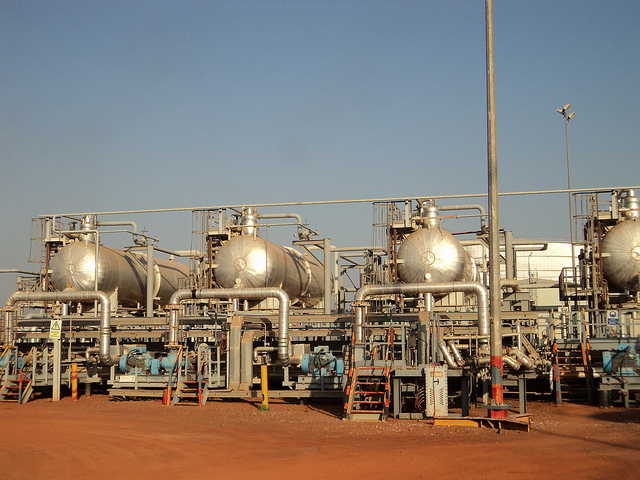 But despite taking with it 75 percent of Sudan’s oil when it gained independence from the rest of the country in 2011, South Sudan currently relies on Sudanese refineries and pipelines to process and transport its oil to the international market. South Sudan’s President Salva Kiir said on Monday Nov. 26 at a meeting of state governors that oil production had not resumed this month as originally expected because of demands by Sudan that the country disarm the rebel Sudan People’s Liberation Movement North. He did add that the issue would be resolved soon as he had spoken with Sudan’s President Omar al Bashir on Sunday Nov. 25 and they agreed that officials from the two countries would soon meet to discuss the issue. But in a bid to reduce reliance on Sudan, on Nov. 20 Kiir launched the construction of an oil refinery in Melut, an oil-producing area in South Sudan’s Upper Nile state. A second refinery is being built in Tharjath, another oil-producing area located in the country’s Unity state. Both refineries are expected to have the capacity to refine 10,000 barrels per day. Dau said the oil refineries were expected to be operational by July 2013, when the government expects to start producing fuel for domestic consumption. “These refineries will create employment opportunities for our youth, which is one of the things we want so that people benefit from our natural resources,” Dau added. Edmond Yakani of the local NGO Community Empowerment for Progress Organisation said that in addition to refineries, the landlocked country needed to build its own pipeline to the Kenyan Port of Lamu. “I don’t think relations between the two countries will get any better and therefore South Sudan should endeavour to build its own pipeline,” Yakani told IPS. Finance Minister Kosti Manibe Ngai said three months ago that work on the pipeline would start in June next year at an estimated cost of three billion dollars. “The government also needs to build reservoirs so that if there are any problems with Sudan we can still have fuel to keep the country going,” Yakani added. Despite having four billion barrels of proven oil reserves, the largest in East Africa, South Sudan still has to surmount daunting capacity issues. The acting director general in the Energy and Mining Ministry Simon Chol Martin told IPS that the government was concerned about the small number of South Sudanese being employed by oil operating companies. The Chinese-Malaysian consortium Dar Petroleum is currently South Sudan’s largest oil operator and Chinese and Malaysian nationals usually occupy technical and senior positions in the oil industry here. Prior to independence Sudanese nationals filled these positions, but many left the country after independence. In order to improve the capacity of local staff, the government is working to reach an agreement with Norway’s Petrad to provide training, he said. “There is only one way of building an exploration and production company and that’s through hands-on experience. It’s a knowledge-intensive process and you need not only the right degrees but practical experience in engineering,” Adong said. 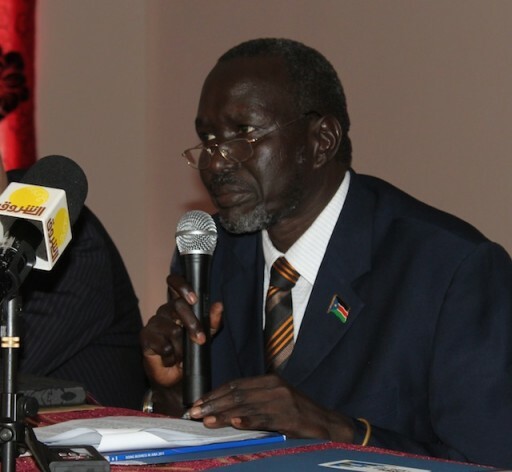 He added that once Juba resumed oil production, NilePet would build South Sudanese expertise in the industry. Adong said with continuous capacity building he hoped NilePet would be successful in five years time. “I hope by then we will have the technical know-how. We would say we are successful if NilePet can operate a field entirely on its own,” he said. Meanwhile, local communities and activists are urging oil companies to protect the environment in oil-producing areas and have called for reports of pollution to be investigated. John Lam Obur, a Juba University student who hails from Melut, in Upper Nile state, said that the activities of oil companies had led to environmental pollution in his home area. “Cattle are dying when they drink rain water near the oil fields, people are suffering from diseases never seen before, and the whole air smells bad because of the waste material from the oil fields,” he told IPS. But Adong said oil companies were aware of the concerns and were working to address them, adding that they did not want to repeat the mistakes made by other oil companies in parts of Africa such as in the Niger Delta in Nigeria. “We would rather give up the dollars and keep our community safe and our environment safe,” he said.